Researchers within the G.S. 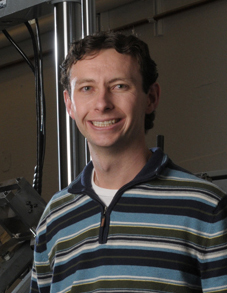 Ansell Department of Metallurgical and Materials Engineering (MME) at the Colorado School of Mines received a Nuclear Energy University Program award from the Department of Energy (DOE), the school announced Wednesday. The research project focused on how Alloy 709, a form of stainless steel that has a high concentration of nickel, performs and degrades with accelerated testing conditions. The research team includes Michael Kaufman, an MME professor and Dean of the College of Applied Science and Engineering, and Idaho National Laboratory's Richard Wright. Several graduate and undergraduate students are also taking part in this research project. The DOE program began in 2009 as a means to bring the department's support of colleges and universities that feature programs and projects focused on the development of nuclear power, nuclear engineering and any technological and scientific advances that would be applicable. In 2015, the DOE awarded approximately $60 million in university-led projects related to nuclear energy, integrated research projects and infrastructure support awards. Kipley's project will provide a more thorough understanding of the capabilities of Alloy 709 and whether it could have potential uses in structural applications that are related to advanced nuclear reactors. Tests will simulate service temperatures and other forms of tests.